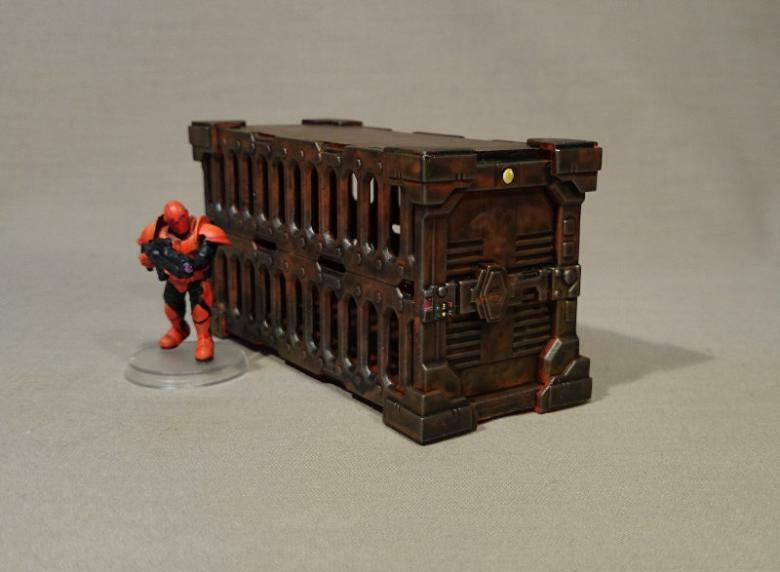 After last week's in depth walkthrough of the terrain sprue, we thought we'd take things back a notch and just share a nice simple image of a storage container built using components from the sprue along with a tiny bit of filler card. Simple, and effective battlefield terrain with minimal effort. Any chance of a guide for this? It looks great!